Hyundai’s N performance division is making a name for itself with the Veloster N hot hatch. 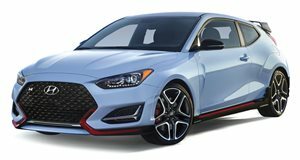 With its 2.0-liter turbocharged four-cylinder producing 275 hp and 260 lb-ft of torque, high-flow dual exhaust, and sporty styling, the Veloster N is a formidable rival to the Volkswagen Golf GTI and Ford Focus ST. The next Hyundai N performance model will reportedly be based on the Tucson SUV, but what if the Korean automaker decided to make a roadster sports car? Artist Yeonjoon Park has designed a render to show what a Hyundai N Roadster could look like if it was given the green light. Based on this stunning design, we would love to see Hyundai N turn it into a reality. At the front, the N Roadster's front fascia seems to have been lifted from the Veloster but with larger intakes added to the corner to give it a sportier look. The side profile features air ducts behind the front wheels to keep the brakes cool, while the long hood is reminiscent of the Audi TT. The artist’s vision of the N Roadster also features a hard roof ideal for colder conditions, although a soft top would make the car lighter and more nimble to handle. A small rear wing completes the hypothetical Hyundai N Roadster’s sleek design. Sadly, the chances of Hyundai N putting a roadster into production is extremely unlikely. The automaker hasn’t shown any intention to enter the roadster market, and demand for sports cars is declining. From a business perspective, it makes a lot more sense for Hyundai to enter the performance SUV segment and launch an N version of the Tuscon.